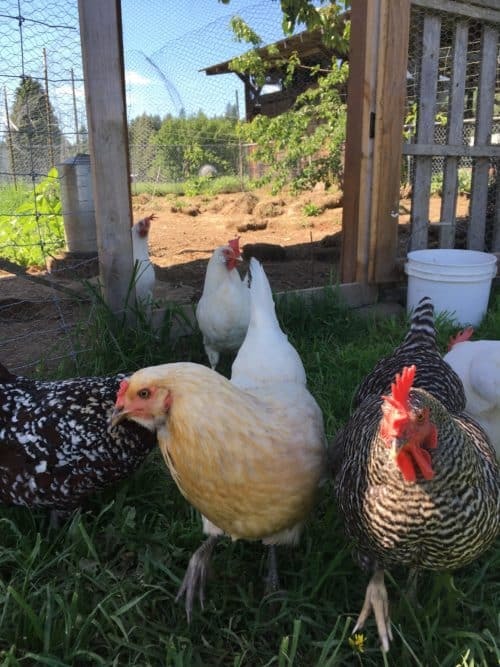 Our number one goal, other than adding a large garden to our new homestead, was to have rotational chicken runs around the garden to reduce feeding costs. 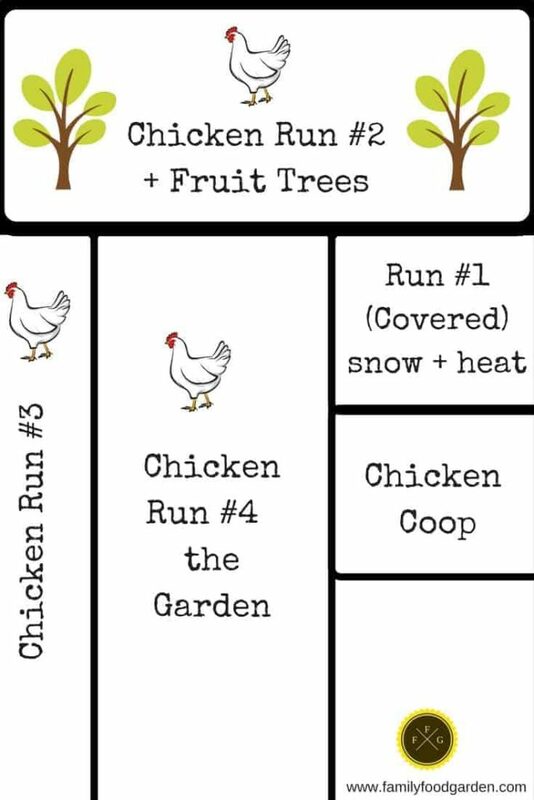 When planning rotational chicken runs it’s easier to design the coop close to the garden. 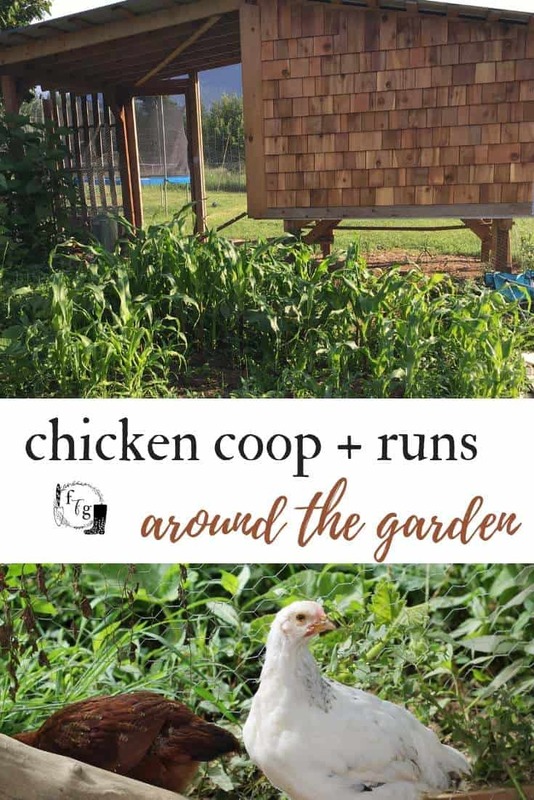 Unless you have a chicken tractor, it’s better to have all your runs close to the chicken coop and have different access ways to reach each run. 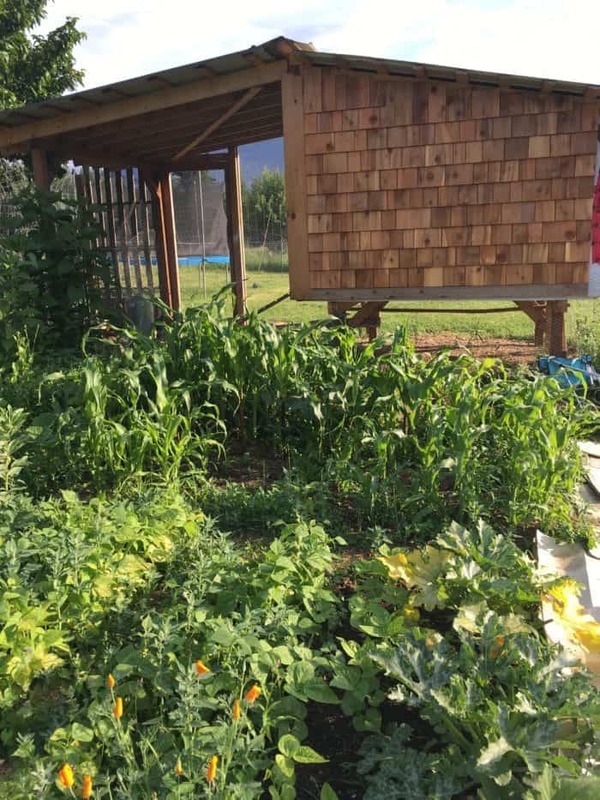 It also helps to have the runs close to the garden if you want to include that area like we did. 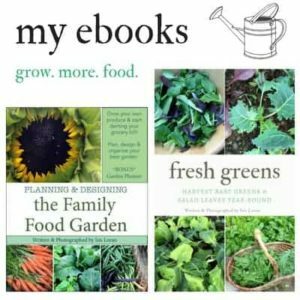 You can let them into the garden for any early spring or fall/winter clean up when it’s needed. 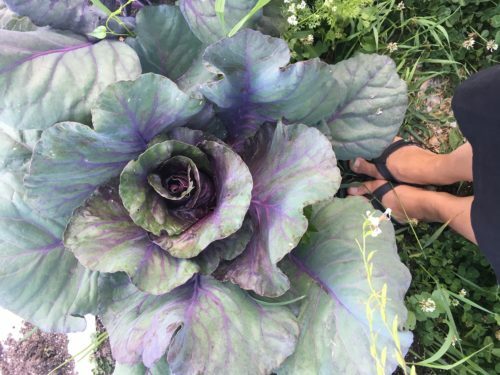 This is a huge benefit if you accidentally let the weeds in your garden go out of control! 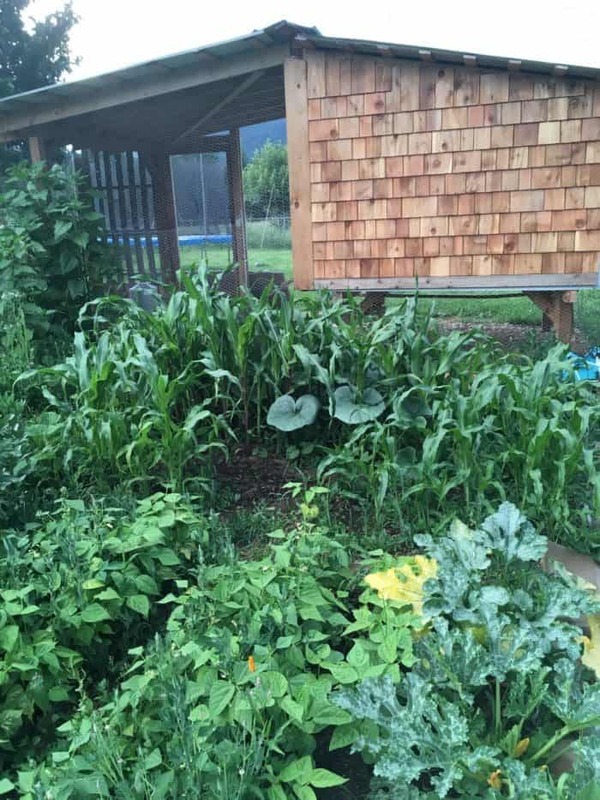 Permaculture is all about creating working systems that benefit multiple dynamics of your land. 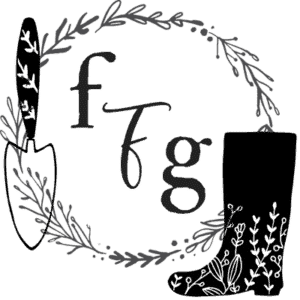 Chickens and gardens are a perfect match for permaculture design because chickens can do work for you in exchange for eggs and your garden benefits the fertilizer. 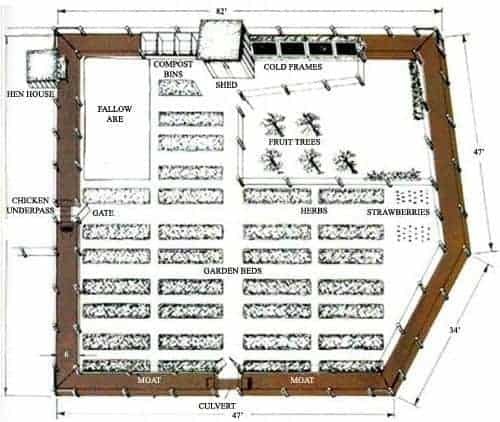 The design below is what we came up with after carefully pondering over where to put our garden and chicken coop. It took us a couple of months to decide! Having moved to this new homestead we still had to observe the sun patterns and winter. We used to live on a mountainside and moving to the open mountain valley has made it WAY hotter with an increased need for shade because there are so few trees. 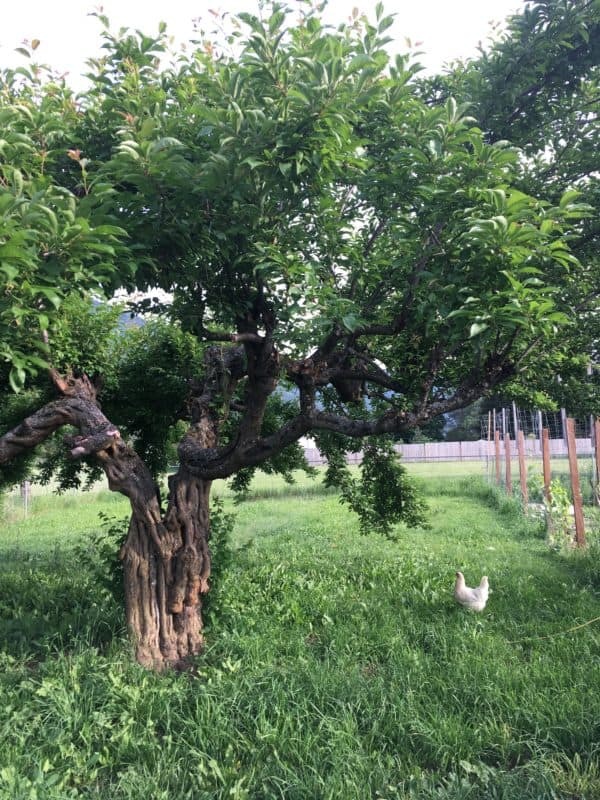 There were a few cherry trees at the back with an old outbuilding to create shade so we decided that would make the perfect main chicken run. The fruit trees also meant they can clean up the fallen fruit & bugs that feed on the old fruit too. 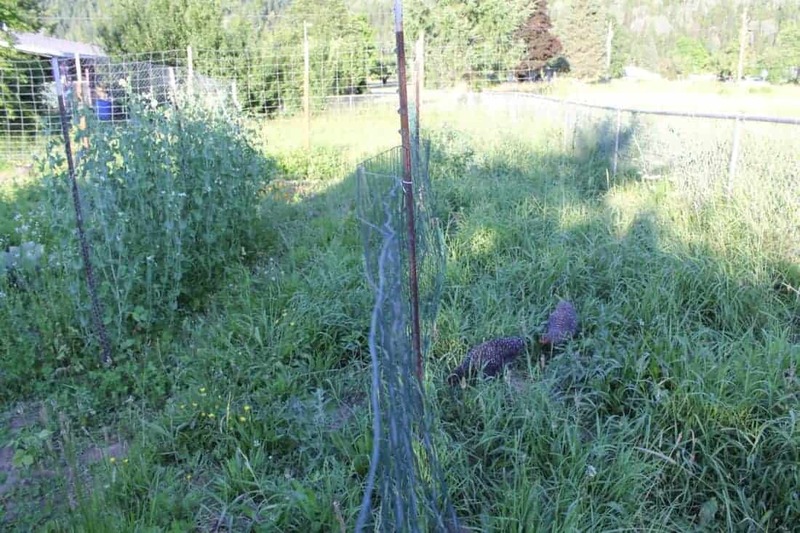 Our chicken run #1 is attached to the chicken coop itself. 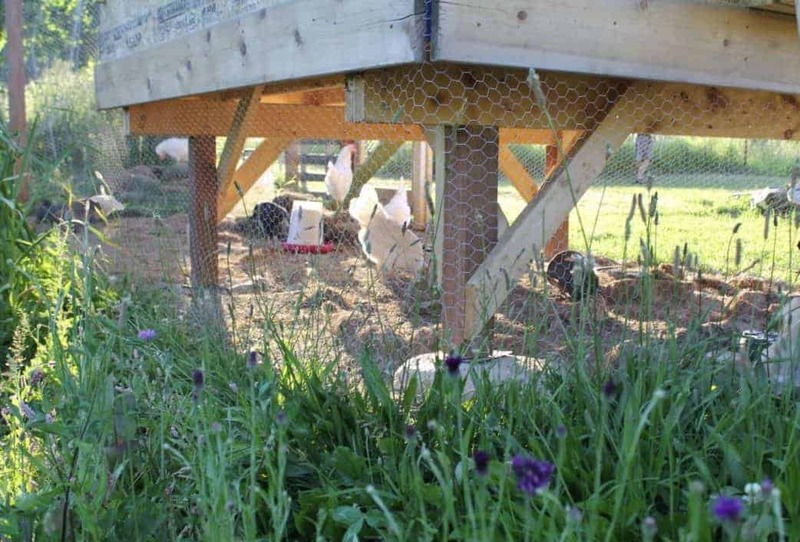 Not only did we want to create shade with a roof, we also wanted the chickens to be able to go outside during our long winters that get lots of snow. This means they’ll have an outdoor area even in the colder months. The pic below is the chicken coop unfinished- we still have cedar shingles to put on plus the other roof on the covered run, I’ll update it when it’s complete. 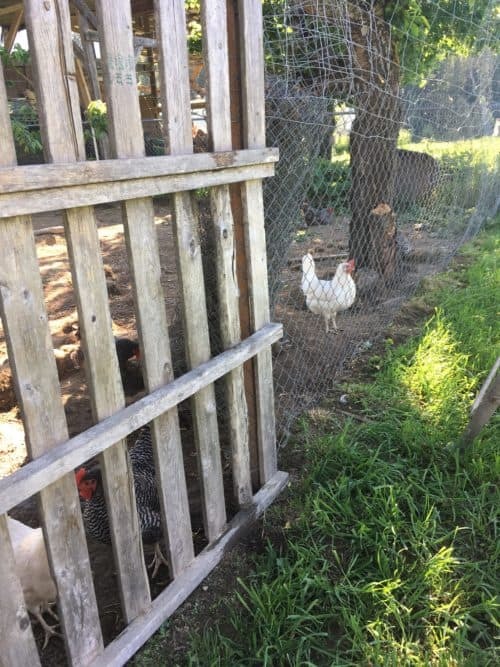 The chicken run #3 is around the side of our garden, sort of like a chicken ‘moat’. 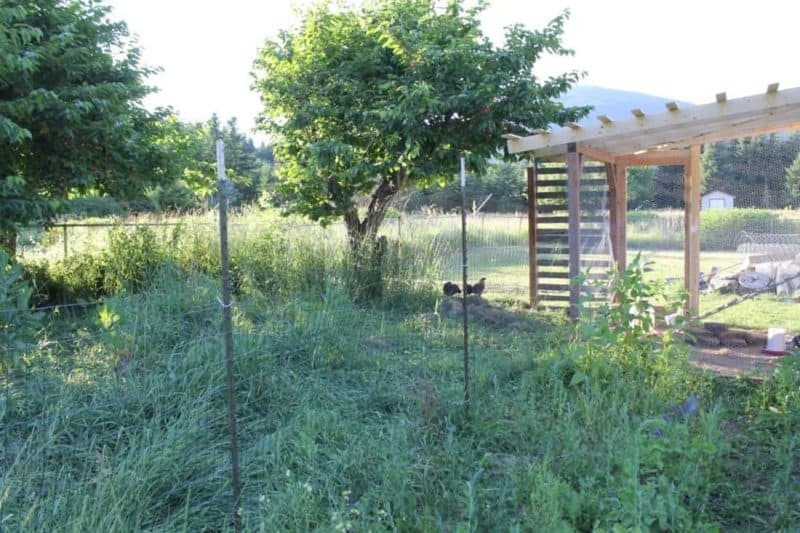 Our 4th chicken run is inside the garden, where they won’t be until we can protect crops or use covered tunnels over the beds in the fall months and they can scratch up the leftover weeds and bugs. 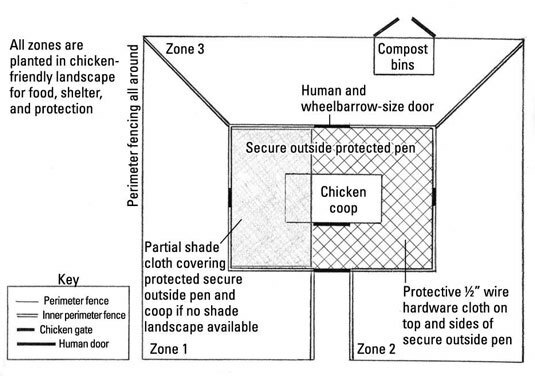 Learn more about free-ranging your chickens safely in the garden. 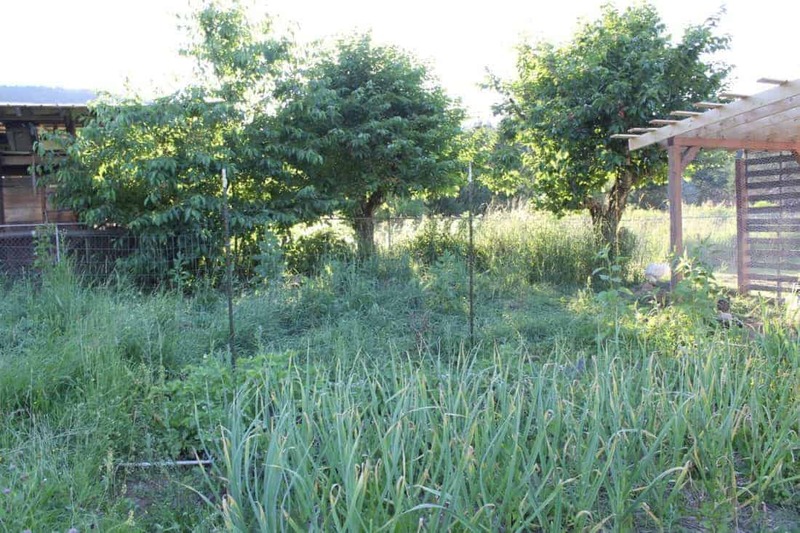 The goal is to eventually have a permaculture fruit tree guild on the other side of the chicken coop for a potential chicken run #5 too. 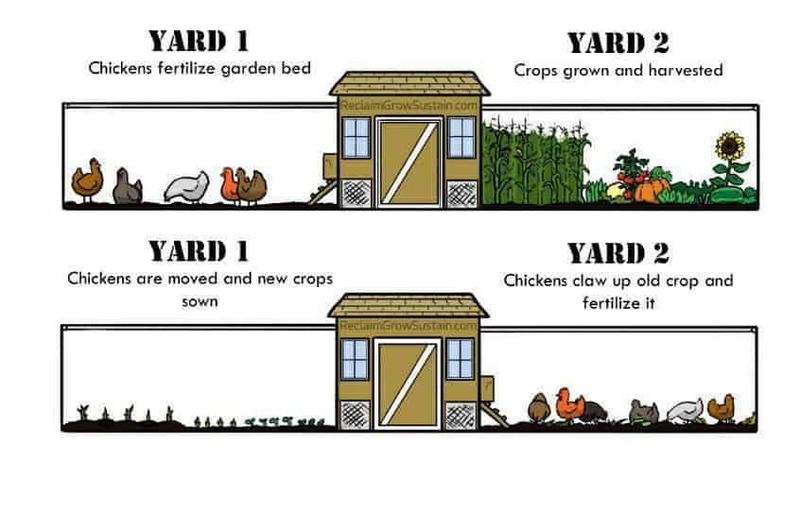 Rotational chicken runs around your garden can definitely help to reduce feeding costs and creates a great permaculture chicken garden set up. 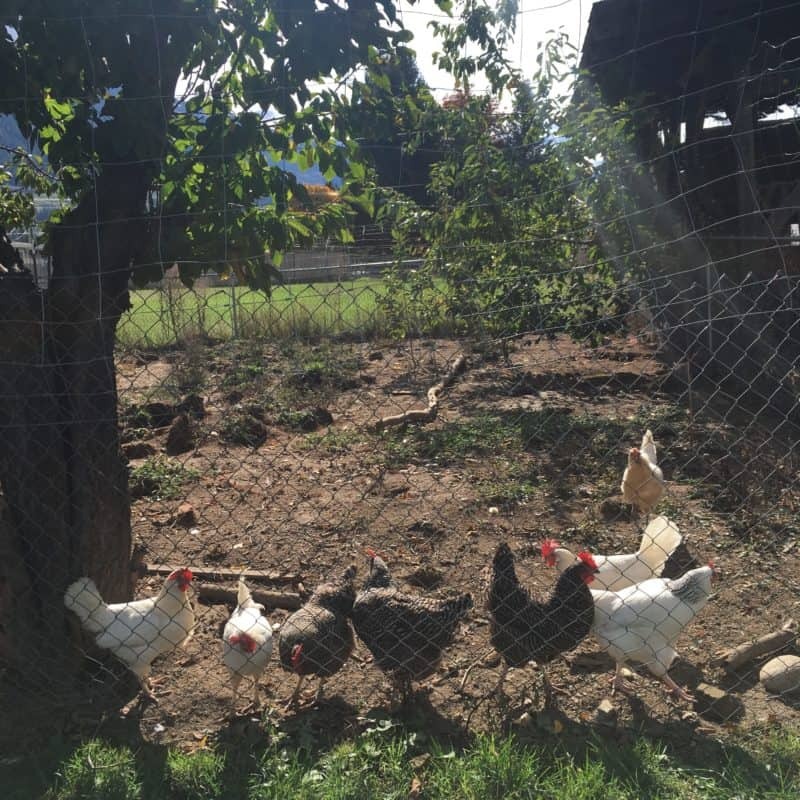 It’s truly a delight to see our chickens roaming close to the garden. The photos and diagrams you’ve collected here are great! 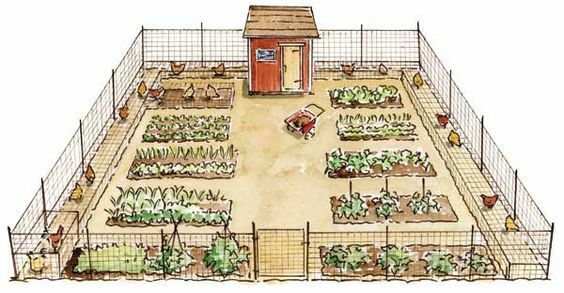 I used them for ideas when designing my own rotational chicken garden system. 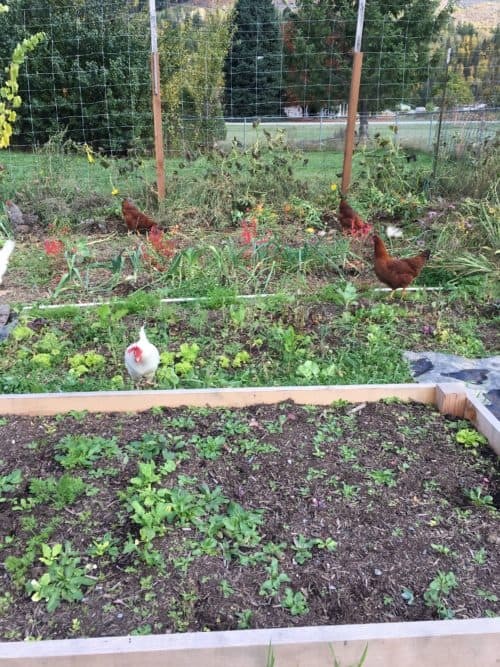 Rather than paddocks, I’ve gone for a bit more of an intensive 6-bed vegetable growing system, rotating the chickens through one garden bed per month. This is a great idea. I am now forming some thoughts in my mind on how to do mine. Thanks!